The effects of economic crisis on consumer behavior affect from unplanned to planned purchases (Quelch and Jocz, 2009). Previous research analyzed how consumers are coping with crisis considering aspects such as low-income consumers (Kumar et al., 2017), household consumption and their financial management (Albert and Escardibul, 2017), and the increase of poverty and reduction of well-being during crisis (Gutierrez-Nieto et al., 2017). Taking into account the few studies on impulsiveness consumption during an economic crisis, the present research extends previous literature by showing that the relationship between consumer income and consumption behavior is processed by responsible behavior during crisis and that consumer impulsiveness will vary according to this responsible behavior. In this sense, this research develops and tests a framework of responsible consumption during crisis that explains changes in purchase behavior in an emerging market context. We conceptualize responsible crisis consumption as the changes in regular habits of consumers to a more rational way of buying, such as shifting for less expensive products and less known brands or reducing expenditures on services. The study was developed in two stages: an exploratory qualitative phase of 12 in-depth interviews with consumers and specialists and a confirmatory quantitative phase with 408 consumers during the recent Brazilian economic crisis (2015–2018). The results using partial least squares structural equations modeling (PLS-SEM) indicate that responsible crisis consumption is an important underlying mechanism between consumer impulsiveness, income level, and purchase behavior. Our findings reveal that consumers, when faced with an economic crisis, develop responsible consumption habits that modify their consumption behavior, especially decreasing services consumption compared to products. Consumers change their purchase habits during a recession by looking for a security status, which means that in this period consumers shift from their general habits to a more rational way of buying. In this sense, our results also report that during the economic crisis, consumers tend to reduce impulsiveness and increase behaviors such as replacing the usual purchase with cheaper products, increasing reflexivity about purchases, decreasing purchases without looking at the price, and increasing the repair of products instead of buying new ones. Theoretically, our findings on responsible crisis consumption reveal that consumers are not only economically affected by recession, but it also triggers psychological mechanisms on consumers by changing their level of impulsiveness and changing their purchase behavior. 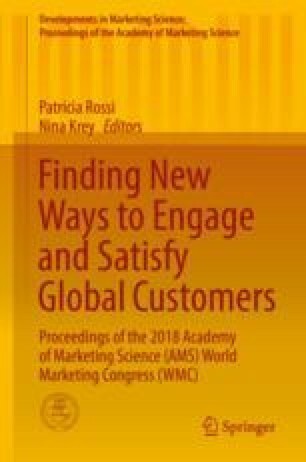 In managerial terms, the findings help companies and public institutions to understand the changes in purchase behavior in emerging markets.